Many manufacturers have long teased us with concepts, sketches and renders purporting to offer truly desirable electric vehicles, but very few actually see the light of day. Tesla is really the only company currently pushing visually arresting products that genuinely rival luxury models from premium manufacturers but that could soon change. Burgeoning UK electric car company, NextEV has just unveiled its new sub-brand NIO, which it claims will “help users rediscover the ‘joyful lifestyle’ of car ownership by creating inspiring vehicles that deliver superior performance, a new benchmark for aesthetic design and unique user experiences”. 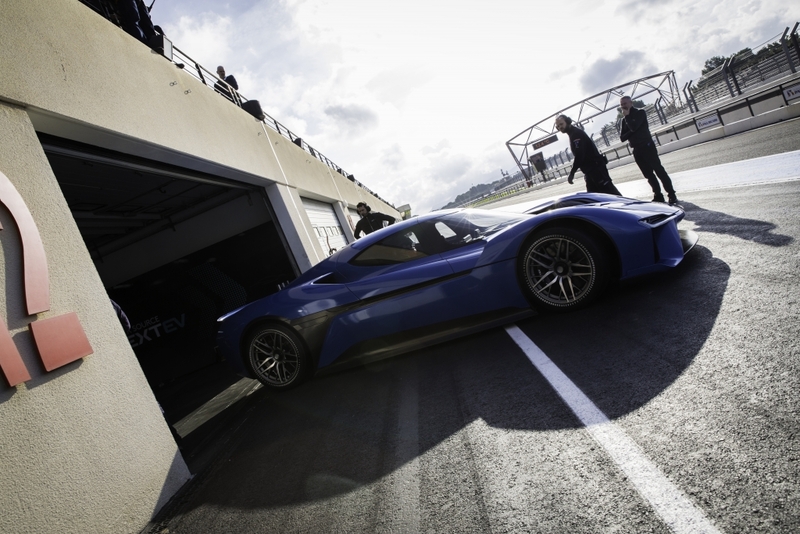 The car to prove this is the NIO EP9 (pictured here), a stunning all-electric supercar that lapped the 20.8km Nürburgring Nordschliefe circuit in 7m 05.12s, beating the previous EV lap record held, marking it out as the fastest electric car in the world. To achieve this feat, the machine features four high-performance inboard motors and four individual gearboxes, meaning the EP9 delivers one megawatt of power, equivalent to 1,360hp. Performance figures are equally astounding: the EP9 accelerates from 0-124mph in 7.1 seconds and has a top speed of 194mph. With an interchangeable battery system, the EP9 can be charged in 45 minutes and has a range of 265 miles. Of course, these figures are yet to be verified in real-world conditions but a carbon cockpit and chassis help to keep weight to a minimum, while the vehicle’s extreme bodywork generates 24,000 Newtons of downforce at 150mph. With the NIO EP9 expected to cost just under £1,000,000, the UK-based company is likely to adapt this technology for a more affordable and everyday electric vehicle, which it will reveal in the coming years.